Easy voice control with Amazon Alexa, Google Assistant and Microsoft Cortana®. 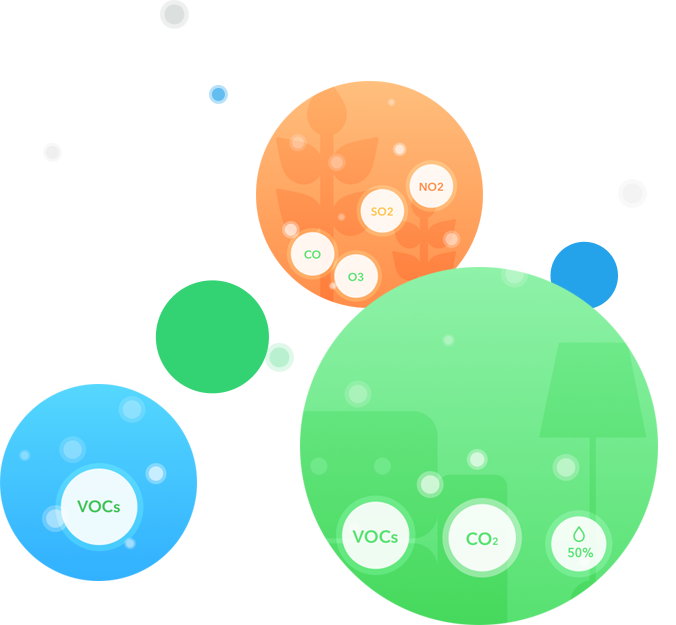 Monitors air quality for a healthier home. Tweak the temperature from anywhere easily. 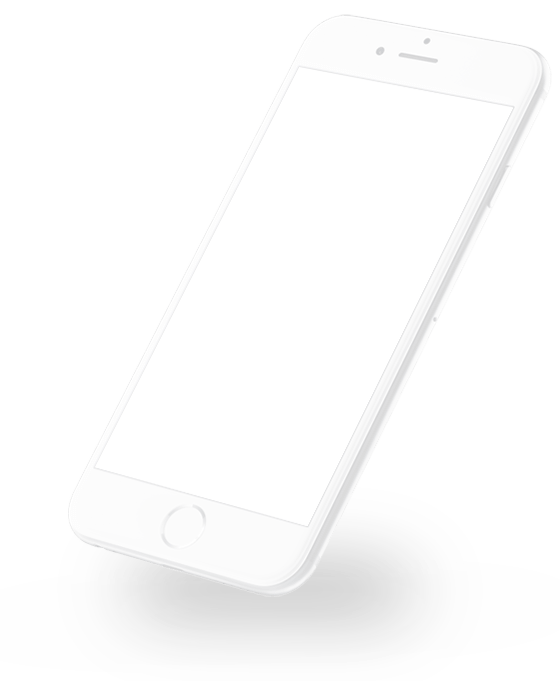 From any device. Or even with your voice. And beautiful on any wall. Johnson Controls invented the room thermostat 135+ years ago. 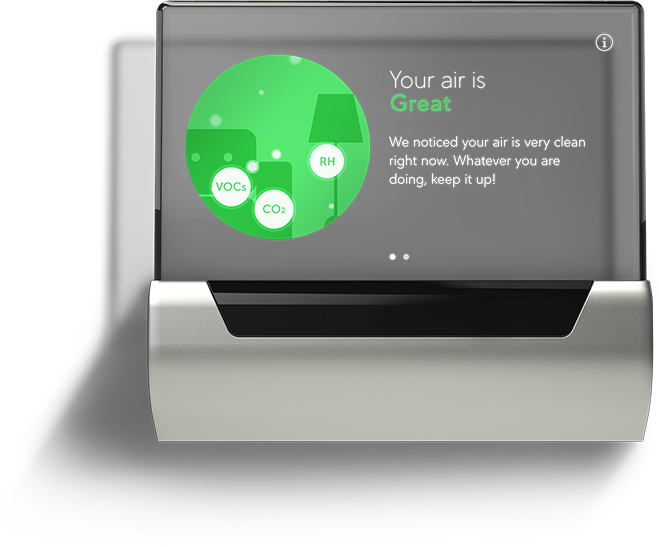 With your family’s health, comfort, and energy savings in mind, we reinvented it with GLAS. 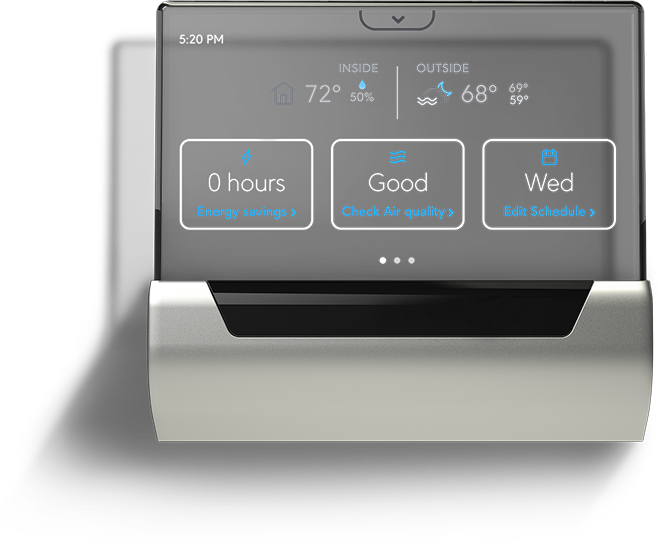 The smart thermostat can help create an efficient and comfortable space, and its clean translucent interface reimagines any space. 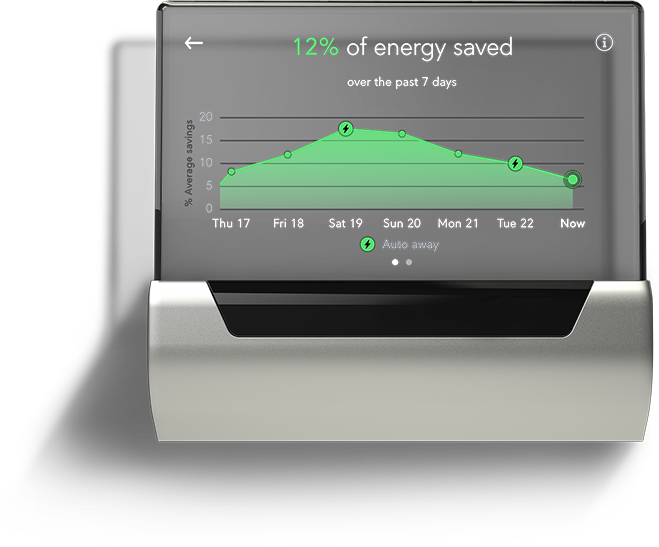 Reinventing the thermostat with GLAS. Want a more comfortable home? Sign up for GLAS updates. Have a GLAS question? Get a clear answer. 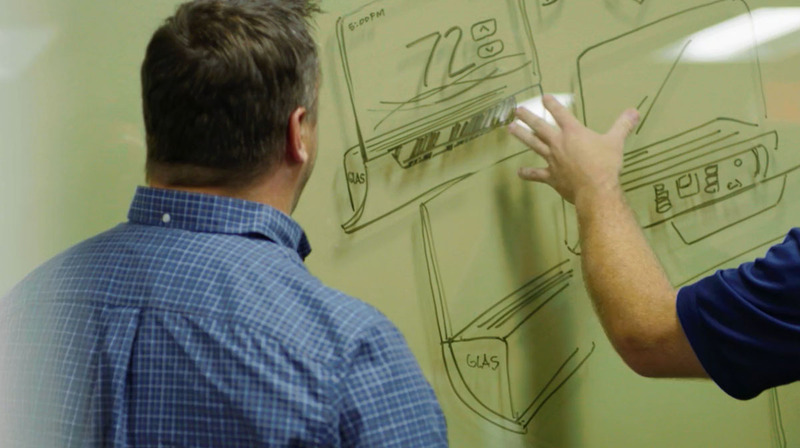 You’re ready for a smarter, more comfortable home. 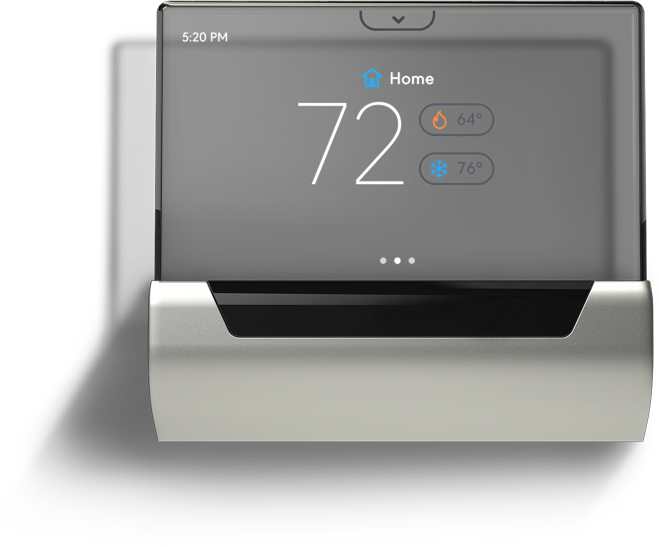 When your home gets GLAS, it gets smart.